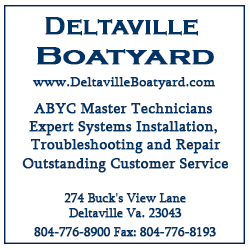 Deltaville is located on the Chesapeake Bay, at the eastern end of the Middle Peninsula, on Virginia’s coastal plain. The town is bounded on the north by the Rappahannock River and on the south by the Piankatank River. The Eastern Shore lies seventeen miles to the east, across the Chesapeake Bay. These rivers, creeks and marshes continue to shape our lifestyle today. Miles of shoreline create rich habitats for an abundance of wildlife — deer, foxes, beavers, and muskrats. On walks along the water, we see great blue herons, wild turkeys, bald eagles, hawks, pelicans, and ospreys. We are located on the Atlantic Flyway, a major route for migrating birds. 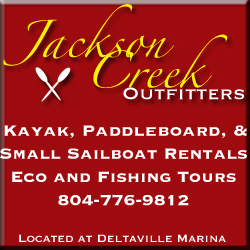 The Deltaville lifestyle is fishing tournaments, sailboat races, auctions at the fire house, seafood festivals, art festivals and dinners at the rescue squad. The Chesapeake Bay is one of the finest sailing areas in the world. 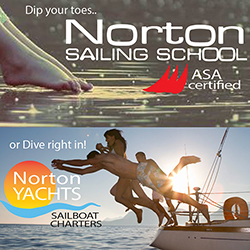 Boating, sailing and fishing are the main recreational activities. If you visit Deltaville, you are likely to go fishing. If the wind is out of the northeast, you may take a boat up the Rappahannock River to visit Urbanna or explore the branches of the Corrotoman River. You may travel north to Tangier Island, Smith Island, Crisfield, or Onancock. 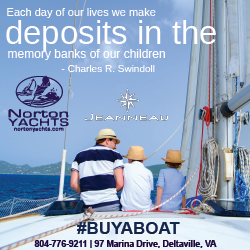 You may take a boat up the pristine Piankatank River or down the Chesapeake Bay. You can paddle a kayak down the pristine Dragon Run. 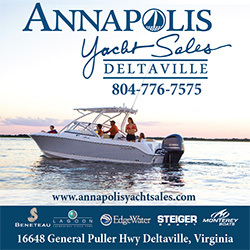 Visit the online version of the Chesapeake Angler Magazine to get a charter boat directory, fishing reports, tide charts and much more. On land: there’s tennis at the DCA courts on Mondays, Wednesdays and Fridays. 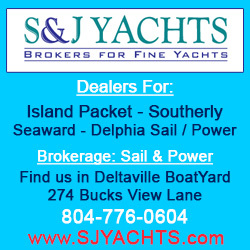 Call Bruce Forsberg for information: 804 776-7734. The pool is open to seasonal members and their guests only. 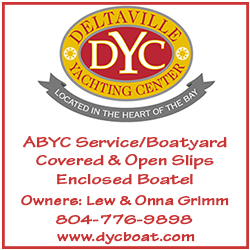 Nauti Nell’s is Deltaville’s unofficial information center. Stop by! If you can’t get in, the phone is 776-9811 or you can send email, but remember there’s just one person picking up that mail, so allow a reasonable time for a response.